Whether you’re planning to watch a game or planning a party, this Artichoke Spinach Dip is perfect. 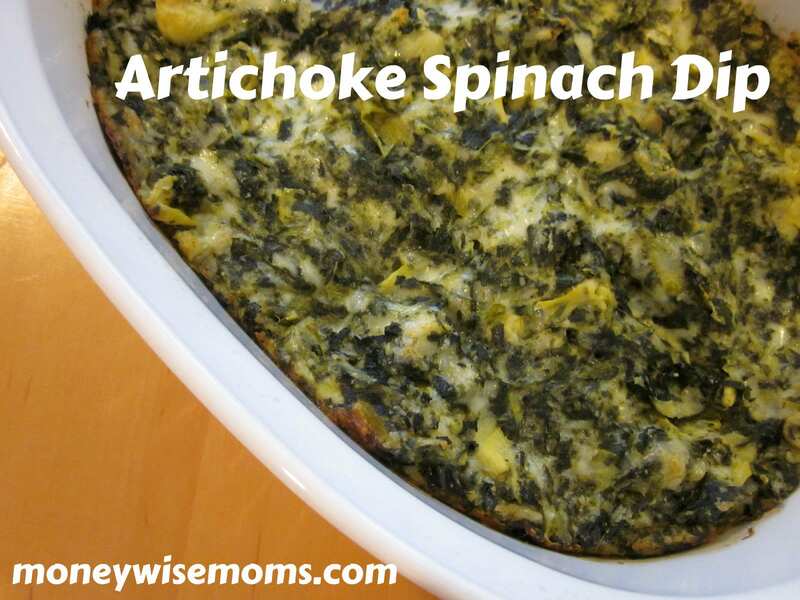 This Artichoke Spinach Dip is one of our favorites for any occasion–whether it’s a special holiday or you just need something yummy while you’re watching your favorite team’s game. I love easy recipes where you just mix it up in one bowl, then bake. This is simple to make and we always enjoy it. Preheat oven to 350 degrees. Prepare a 2-quart baking dish with nonstick cooking spray. Chop artichoke hearts well, and combine all ingredients in bowl. Mix well. Pour into baking dish and spread into even layer. Serve warm with tortilla chips, French bread, pita chips, or vegetables. This recipe is linked up to Friday Finds at MomTrends and Whatever Goes Wednesday at Someday Crafts. And now my mouth is watering…that looks SO SO SO good! Yum. This recipe is a bit different than the one I use. I need to give this one a try. Love the touch of heat…makes my mouth water.